Some quick updates in case you missed them before. 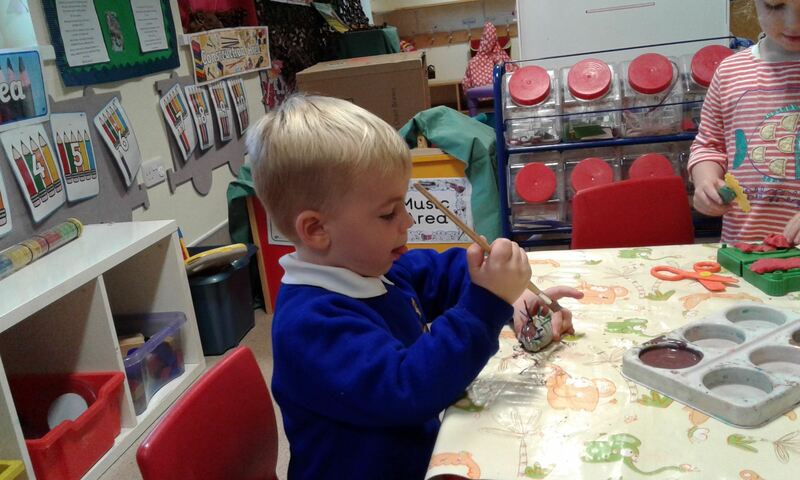 We have a couple of requests for all of our lovely parents; We are looking for a handyman/handy-woman who could come and take a look at our bikes we have in Pre-school, some of them need a little fix up so that the children can use them. 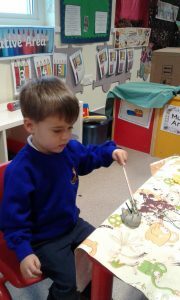 If you think you may be able to help us please see any members of Pre-school staff. Secondly there is a box just inside the main door into the building that is a lost property box, if you are missing any items or think your child has misplaced something that is where items will go if we don’t know who they belong to. Lastly we like to encourage all children to bring in healthy lunch boxes and that the children bring water in their bottles. 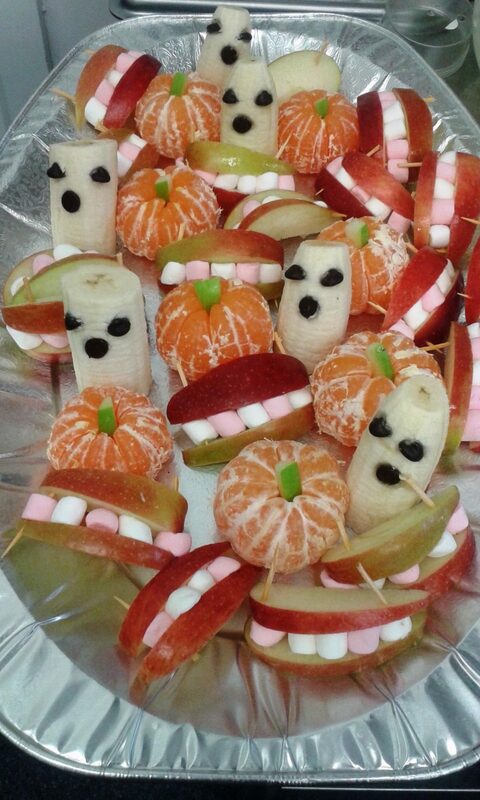 At snack time there is a variety of fruit for the children to select what they would like, they have the option of having a carton of milk or a cup of water everyday. A mizzly, dreary day greeted us on Wednesday as we embarked on our cross country competition at Torrington Rugby Club. 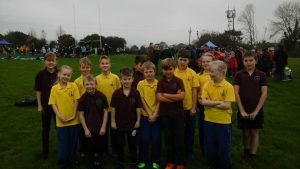 The Stephen Shield Cross Country competition is open to all schools in North Devon and is hotly contested between the best long distance runners in the county. A record 700+ runners entered this year. I am so proud of the efforts and performances of all our runners across the federation. It was a difficult course in terrible conditions. To complete the course was an achievement in itself, but to finish in the positions that they did is a remarkable effort. Yr 3 boys; James 48th, Henry 63rd. As you all know next week is half term. 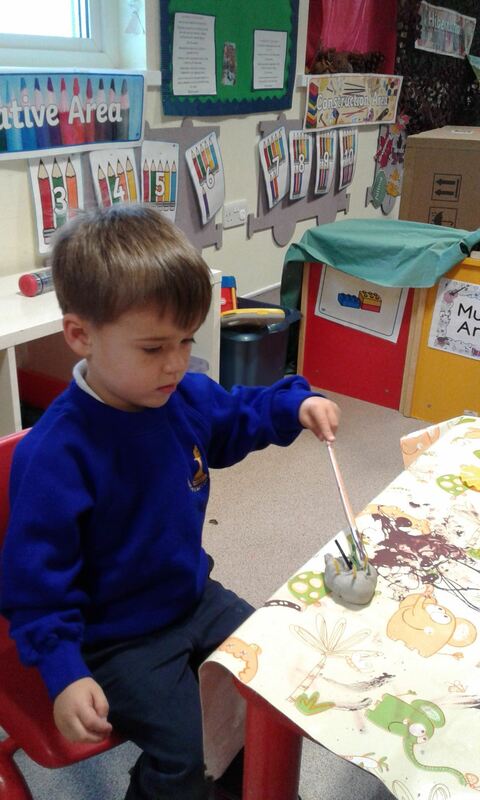 We will be coming back to Pre-school on the 30th October. When we come back we will be celebrating Halloween and asking (if the children are happy to) to dress up on Monday and Tuesday, we hope you all have a lovely week off and look forward to seeing the children in a week. Today is Anya’s last day before she goes off on maternity leave. All of the children are going to miss her but are looking forward to seeing the new arrival. We wish Anya all the best for the next 11 months but are already looking forward to her return next September. 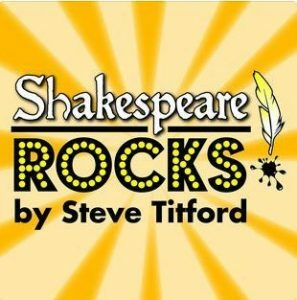 As you will know, we had aimed to have the DVDs of our excellent Summer production – Shakespeare Rocks! ready for September. 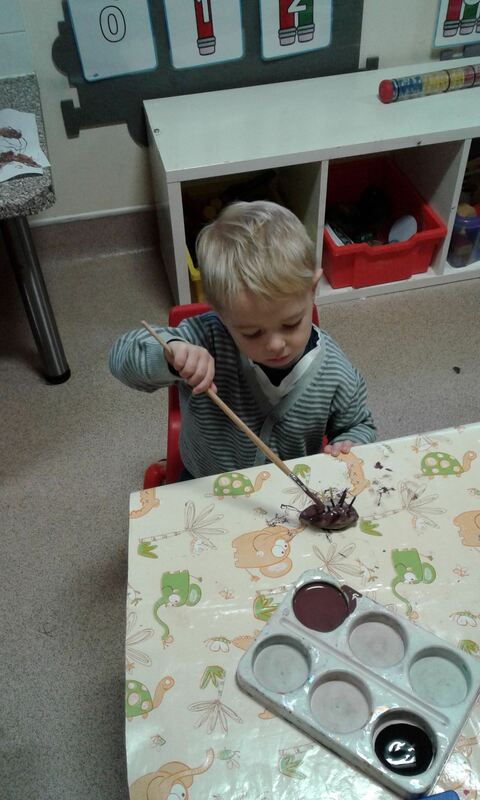 Unfortunately we have been significantly delayed by a number of technical issues during the production process. Many apologies for this, however, I am now able to confirm that the DVD of Shakespeare Rocks will be available from Monday 30th October for full release. This means that if you have already put down a deposit or expressed interest / reserved a DVD, your copy will be available from the office straight after half term (balance will be payable upon receipt as appropriate). Apologies once again for the production delay. If you would like a DVD but have not yet reserved one; or you would like additional copies, new orders can now be taken (with a very short production time). Do also watch out later this term for some other exciting releases before Christmas. The Devon Local Nature Partnership has sent us a massive congratulations for winning first place in the ‘schools’ category in the Build for Bees competition. At the end of the last academic year we entered our bug hotel into a build for bees competition. Each class within the school had built their own 5 storey bug hotel to attract, support and protect a wide variety of invertebrate species. 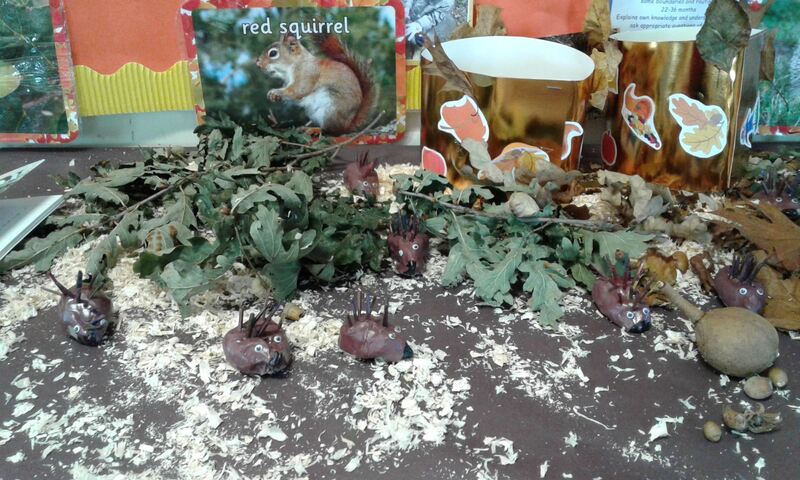 A quick change of interior furnishings by class 3 allowed us to adjust it’s usage to a primarily bee hotel. The size and scale of the build impressed the judges and won us the competition. 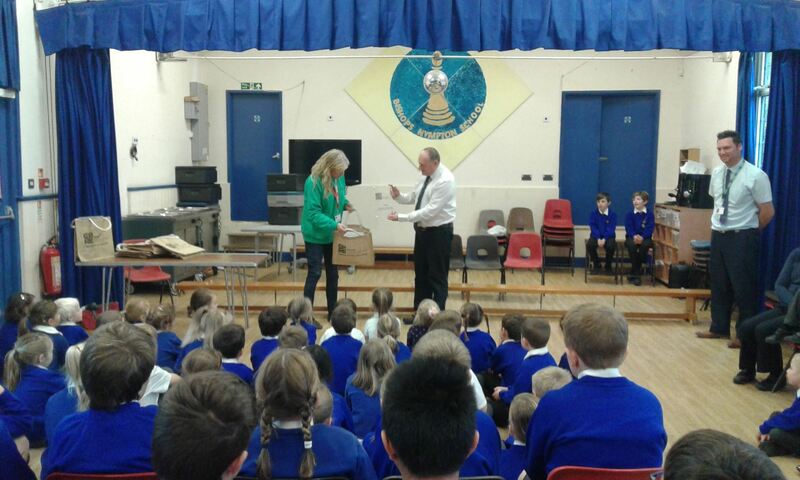 We will shortly bee receiving a years subscription membership to ‘Buglife’ as a reward for the children’s efforts. 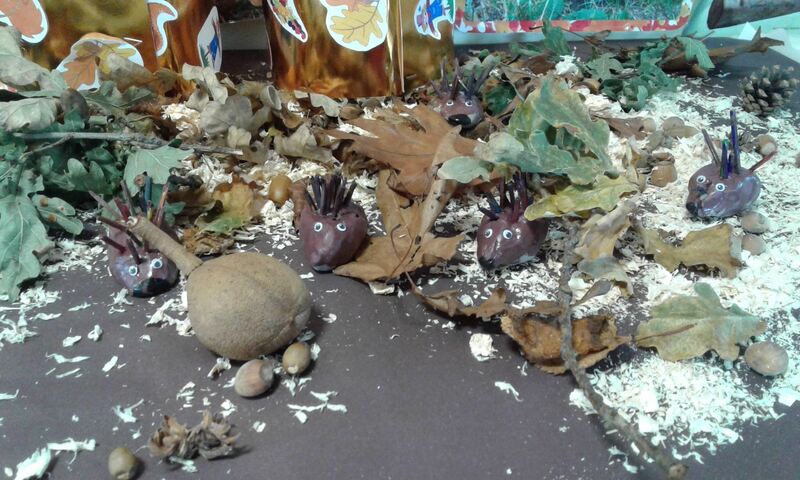 Over the past few weeks we have been learning about hibernation and harvest. 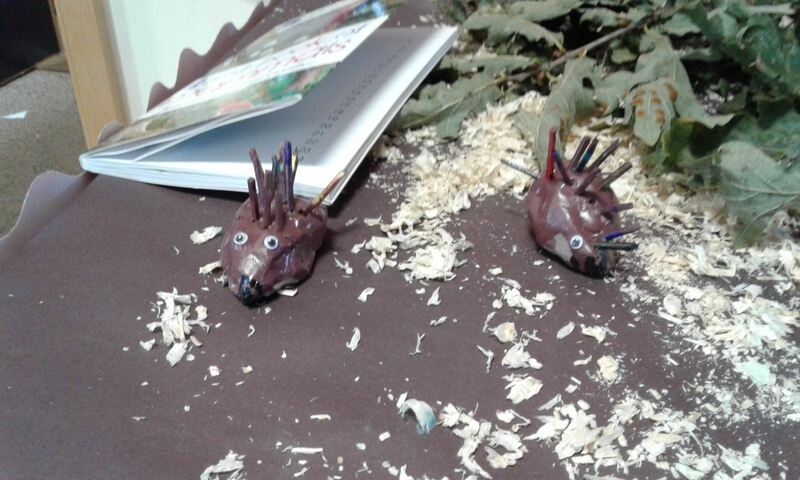 Last week we made some hedgehogs from clay and matchsticks, this encouraged the children to use their fine motor skills in order to manipulate the hedgehogs and put their spikes in. 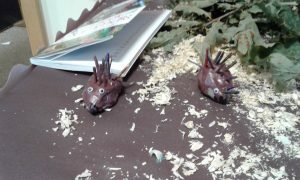 They painted them and added eyes, the children will be bringing these home this week. 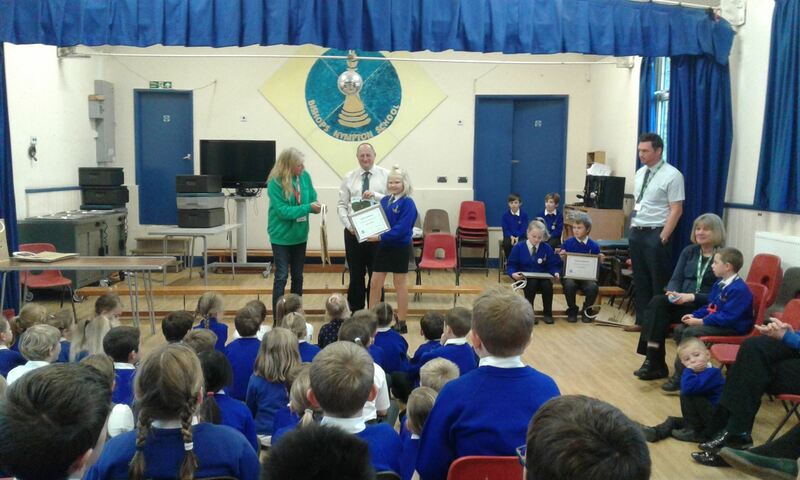 CPRE My Outdoors Competition – Winners! Once again this year, as part of our L.I.N.E. 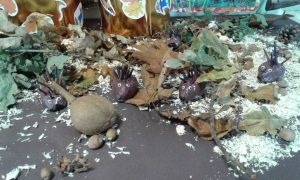 (Learning In the Natural Environment) work we entered the CPRE My Outdoors Competition. 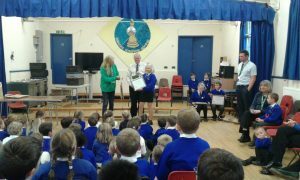 For the second year in a row, Bishops Nympton Primary School have been named as joint winners of the best overall school prize! The CPRE (Campaign to Protect Rural England) work tirelessly to protect our beautiful and living countryside in Devon. They work to protect, promote and enhance our towns and countryside to make them better places to live, work and enjoy, and to ensure the countryside is protected for now and future generations. As a L.I.NE provider, I actively encourage the children of Bishops Nympton to experience their outdoor environment, thus enabling them to feel connected and part of our living world. By making this connection, we hope it will enthuse and inspire them to protect and conserve our beautiful and amazing natural world. 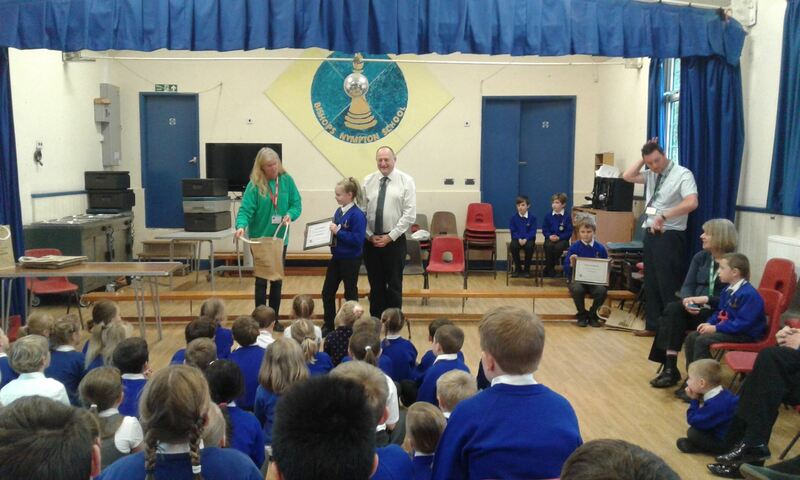 This CPRE competition has created the opportunity for the children to think about their loved out door spaces and to imagine a world where these spaces have been built upon and lost forever. As custodians of this planet, it is our responsibility to protect these special outdoor places from destruction. In addition to the best overall school prize, several children have won the title of ‘Highly Commended’ for their artistic vision of their special outdoor space. 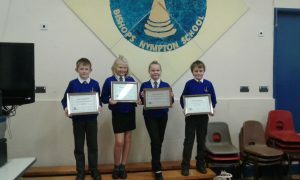 A huge congratulations go to: Cole Petherick; Seth Dart; Paige Gardiner; Anoushka Burton. We proudly received a plaque, celebrating our winning status, a years membership with the CPRE alongside a £200 monetary prize. 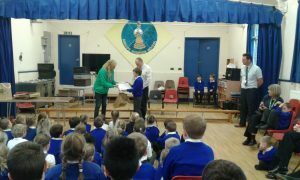 Our highly commended children received a certificate and a wildlife guide book. 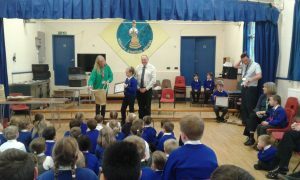 A huge well done to all the children who entered the competition. We look forward to the new competition in the spring term!